Carlo Andrea Castiglioni (1956) graduated in Civil Engineering from Politecnico di Milano in 1980 and got his PhD in Civil and Environmental Engineering at University of Genova. Since 1983, Assistant Professor at the Structural Engineering Dept. of Politecnico di Milano. In 1984, Technical Secretary of the Structural Stability Research Council (S.S.R.C. ), at Fritz Engineering Laboratory, LEHIGH University, PA, USA. Since 1992, Associate Professor of Civil Engineering at the School of Architecture at “La Sapienza” University in Roma. Since 1993, Associate Professor of Civil Engineering at the School of Engineering at Politecnico di Milano. Since 1996, Associate Professor of Structural Design at the School of Architecture at Politecnico di Milano. Since 2002 Full Professor of Structural Design at the School of Architecture at Politecnico di Milano. Since 2015 Professor of Structural Design at the School of Architecture, Urban Planning and Civil Engineering at Politecnico di Milano. Presently he is Full Professor at the School of Architecture, Land and Environmental Sciences at Neapolis University in Pafos. He is also Full Professor of Structural Design at the School of Architecture at Politecnico di Milano, teaching “Design of Structures” at the School of Architecture, Urban Planning and Civil Engineering. In addition to the academic career, Professor Castiglioni acts as Consultant for Public as well as Private Companies. 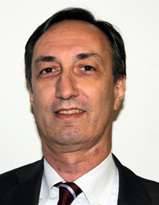 He is Technical Director of Fincon Consulting Italia an Engineering Company with headquarters in Milano. He is author or co-author of more than 230 technical papers in the field of civil engineering.